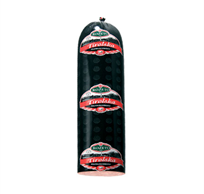 We have created our salamis and sausages for those who truly appreciate a real gourmet experience. The savoury surprises from this group of products will transform your snack into a real spectacle and your senses will be multiply rewarded. 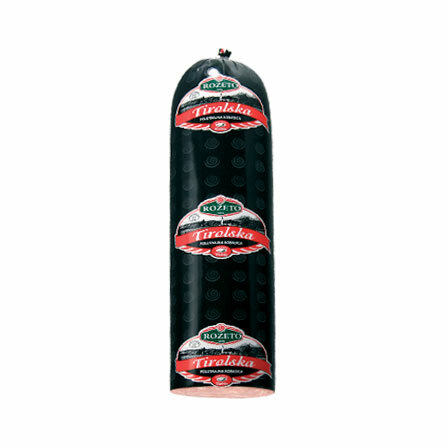 Regardless of you preference for mortadella, the famous Italian delicacy made using our own recipe, or you appreciate traditional savoury sausages, with VIR flavours you simply cannot go wrong! 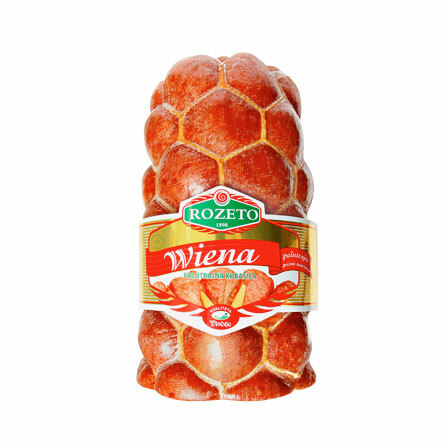 Rozeto Wiena praises the richness of flavour to the natural curing process, during which it gets its unique aroma. Rozeto Wiena was made for gourmet platters! 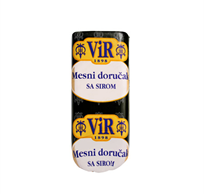 Shhhh - the recipe for our Wiena sandwich is a well kept secret: 1 Carica roll, cut into halves and lightly toasted, 50 g Rozeto Wiena, thinly sliced, 'z bregov cheese spread classic, one spring onion cut lengthwise, one smaller tomato, thinly sliced, one slice of Vindija’s Tilzit cheese. Spread the cheese spread on the inside of the roll, sprinkle with some pepper and add the salami, spring onion and tomato, cover with the other half of the toasted Carica roll and savour the very first bite! The original flavour of Rozeto Tyrolean connects you with the scents of the vast grazing fields of Tyrol, mixed with the aroma of Panonia and Kalnik. 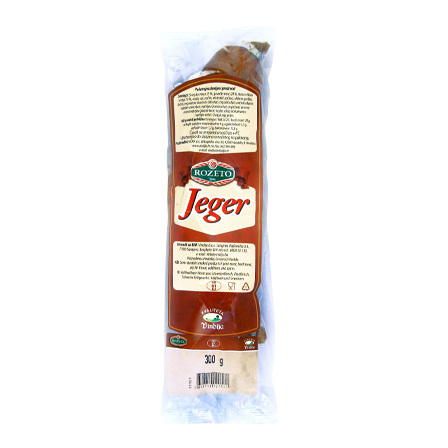 The hundred-year-old tradition of the Tyrolean sausage production has been revived in this excellent product of the VIR meat company. A Tyrolese sandwich for a light lunch is a the perfect taste that will occupy all your senses! Ingredients: one small pumpkin seed roll, 30 g of Rozeto Tyrolean, ½ of a hard-boiled egg, one small pickled cucumber and some mayonnaise. Cut the bun in half, spread the mayo on one of the halves, stack all the other ingredients on the roll and enjoy the flavour of Rozeto Tyrolean! 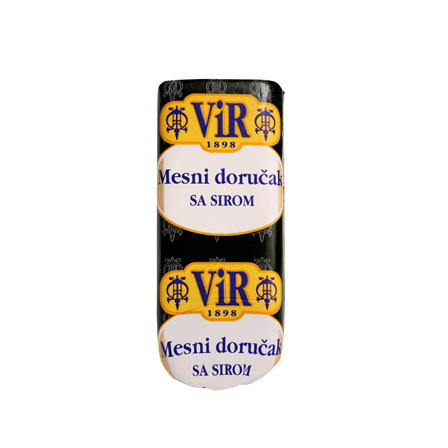 Rozeto Viennese, with its mild, smoked flavour, is ideal for snack of little quick bites! A way to create a perfect bite is to take a Kornspitz roll, cut it in half and spread with some Provance 'z bregov cheese spread, add a couple of thin slices of Rozeto Viennese, a touch of fresh green pepper, add a pinch of salt and your sandwich is ready for a quick bite! Try the original flavour of Rozeto planinska making you breakfast or snack complete! Perhaps a toasted sandwich with Rozeto planinska will pleasantly become your favourite breakfast! Put two slices of Rozeto planinska on a slice of toast, add two slices of Vindija’s Varazdinec cheese, spread some chili sauce on the other slice of toast, slices together, toast them and simply enjoy your sandwich ready to awaken all your senses! ROZETO Riva is cured in special conditions that simulate natural, traditional meat curing – beech smoked meat, joined with a carefully selected spice mix, shares an irresistible, original taste. The fact that 130 g of fresh meat is used to get 100 g of the final product, testifies to the exceptionally meticulous preparation methods. 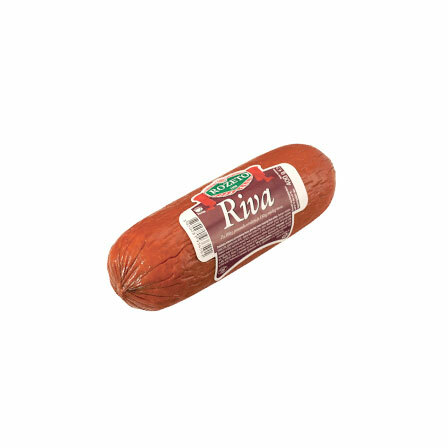 Start your morning with the delicious taste of this meat specialty enriched with cubes of delicious Vindija’s melted cheese, and simply enjoy it! Luncheon meet with cheese starts your day in the right direction!